We haven't seen much from director George Miller's upcoming reboot / sequel Mad Max: Fury Road, which is still a whole year away from release. 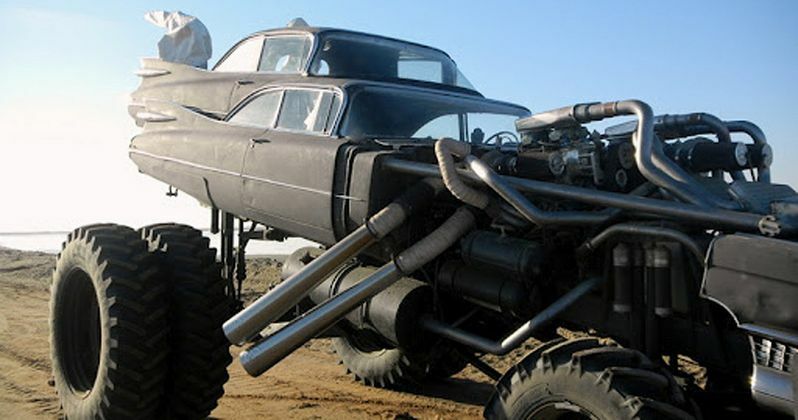 In the movie, Tom Hardy takes over the role of Mad Max from Mel Gibson in what has been described as more of a continuation of the character than a redesign. The story finds Max caught up with a group of survivors fleeing across the desert wasteland of the apocalypse. A series of concept art images have been leaked online from an anonymous source, and they offer a hint at the vehicles and villains that we'll see on screen next May. It looks like the tone and style of 1982's Mad Max 2: The Road Warrior has been left in tact. By request of the studio, these images have been removed.